Histamine intolerance occurs due to high histamine levels and due to deficiency of the DAO enzyme (diamine oxidase), the enzyme responsible for breaking down histamine. Do you suffer from sniffles or a runny nose? Does drinking red wine make your face flush? Do you get sudden and unexplained headaches? These are some histamine intolerance symptoms which often feel like they appeared without any apparent trigger. Histamine is a biogenic amine which is derived when the amino acid histidine is decarboxylated. This bioamine is stored in the mast cells and in the basophils and is produced by the body during allergic reactions. It is also known to be a neurotransmitter as well as a vasodilator. Though the condition is termed histamine intolerance, the body can ‘tolerate’ a certain amount of histamine. It’s only when there is histamine overload that people with reduced activity of the DAO enzyme start exhibiting histamine intolerance symptoms. Oxidative degradation by diamine oxidase (DAO). Apart from the histamine produced by the body, ingested histamine is also degraded by one of the two pathways. How much of histamine could lead to histamine intolerance? Histamine intolerance symptoms include nasal congestion, irregular menstrual cycles, nausea, fatigue, vomiting, hives or headaches. Histamine Intolerance test: A blood test to determine the level of DAO enzyme activity is not very definitive as the level of DAO enzyme in the blood is not reflective of its activity levels in the body. In a study conducted on 384 children with chronic abdominal pain, the level of serum DAO enzyme tested did not correlate with the levels of serum or urine histamine. When the children were put on a low histamine diet, 50% showed reduction in symptoms. According to ‘German guideline for the management of adverse reactions to ingested histamine’ (2017), measuring DAO enzyme activity in the serum was inconclusive in the detection of histamine intolerance. Genetic testing for determining DAO enzyme activity can be used for informative purpose but there are other factors which could contribute to the development of histamine intolerance. The methylation cycle is also associated with the breakdown of histamine and other monoamine neurotransmitters. Finding out about the MTHFR mutations carried will help in identifying the extent of histamine clearance via the methylation pathway. To do this, 23andme raw data or Ancestry DNA raw data may be uploaded onto sites like Genetic genie which list out the various MTHFR mutations. However, although Genetic genie provides a list of SNPs, Xcode Life, provides recommendations and likely enzyme activity levels based on the 2 prominent MTHFR SNPs- C677T, A1298C. The most effective treatment for histamine intolerance is to opt for a low histamine diet. 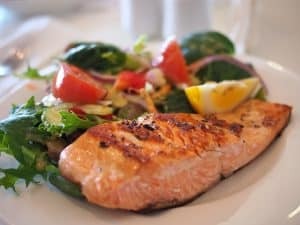 Many research studies have found that elimination diet, or a low histamine diet, can help in identifying if an individual has histamine intolerance. Intoxication due to histamine may occur due to consumption of spoiled tuna or mackerel, which are high histamine foods, and should, therefore, be avoided. The bane of opting for low histamine foods is that it could increase the risk for malnutrition. Care should be taken to include sufficient nutrition to ensure good health. A low histamine diet is primarily to identify the presence of histamine intolerance and it should be carried out by eliminating certain high histamine foods and then slowly adding them, checking for the return of symptoms. It should ideally be carried out under the supervision of a medical practitioner. The extent of histamine intolerance varies from one individual to another. An ideal way of designing your own low histamine diet is to opt for one or two vegetarian meals. Meat should be consumed when it is prepared the same day, though the skin of poultry has high histamine levels, irrespective of when it is prepared. Portion control could also play an important role, a bit of lime present in a dish like hummus may not harm while a glass of lime juice could. One of the major factors for histamine intolerance is the reduced DAO enzyme activity. There are many DAO supplements that are available to boost the activity of this enzyme, thereby reducing the extent of histamine intolerance. A word of caution on DAO supplement production, many of these have porcine sources and contain rice and corn, and so should be avoided by individuals with any allergies to these. Alternatively, pea shoots are high in DAO and can be consumed by vegetarians or people looking for alternate DAO supplement. Histamine intolerance can affect your quality of life and finding out about the level of DAO enzyme activity based on genetic variations may help in altering the diet to reduce symptoms. Xcode Life reports include information on SNPs associated with histamine intolerance and can be purchased here.